Schedule web site is linked in photo above and here. “Welcome to the Peace House” was produced by 12 students (names below), from two of Chicago’s South Side high schools: Winnie Mandela and Progressive Leadership Academy – with CTVN instructor, Bill Sacco. The film captures the I Grow Chicago Peace House, a community center dedicated to nonviolence and positivity. Throughout the film, members of Peace House express how their involvement in Peace House has helped them from going down the wrong path and how to deal with their feelings in a healthy way. CTVN’s youth aimed to shape stories in their communities by using cameras and by telling their own story. 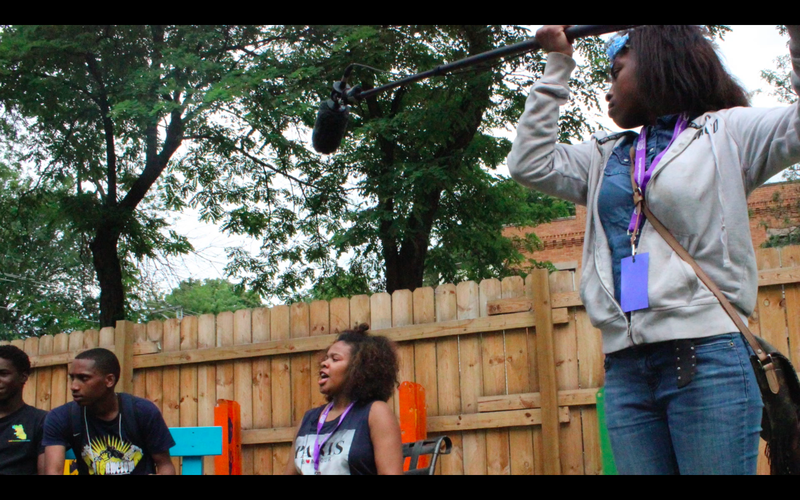 A CTVN youth producer working on-location at the Peace House during a session with Shango Johnson of I-Grow. ward given by the Chicago International Film Festival’s CineYouth Festival. For more behind the scenes photos and film stills, please see the photo album below. 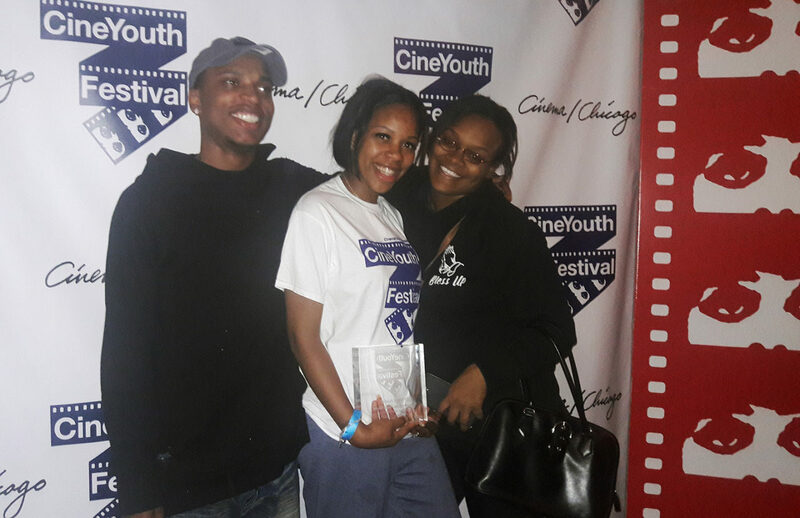 CTVN youth producers accepting the Chicago Award at the 2017 CineYouth Festival in Chicago. From left to right: Angelo Ross, Sierra Blackman and Briona Barker Dawson. To learn more about Smithsonian Museum’s first ever African-American Film Festival click here. “Welcome to the Peace House” is part of a CTVN series, Peace in the Streets, funded by the Voqal Fund. Community TV Network is funded by the Illinois Arts Council, a state agency.